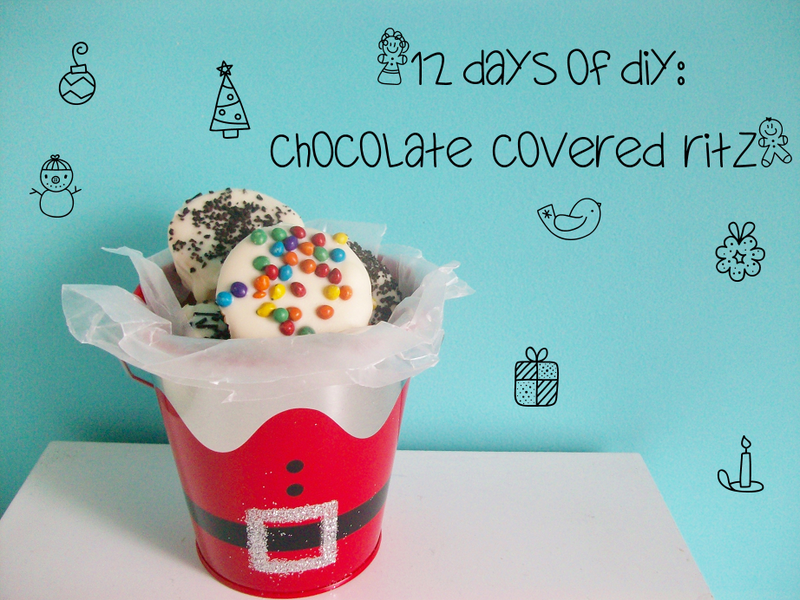 Today's DIY is very sweet, literally! 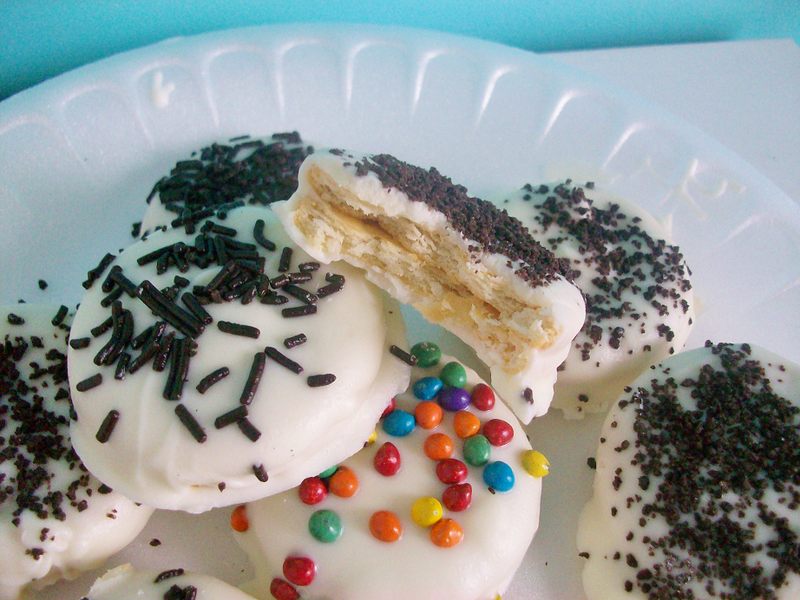 I will be showing you guys how to make chocolate covered Ritz cookies. 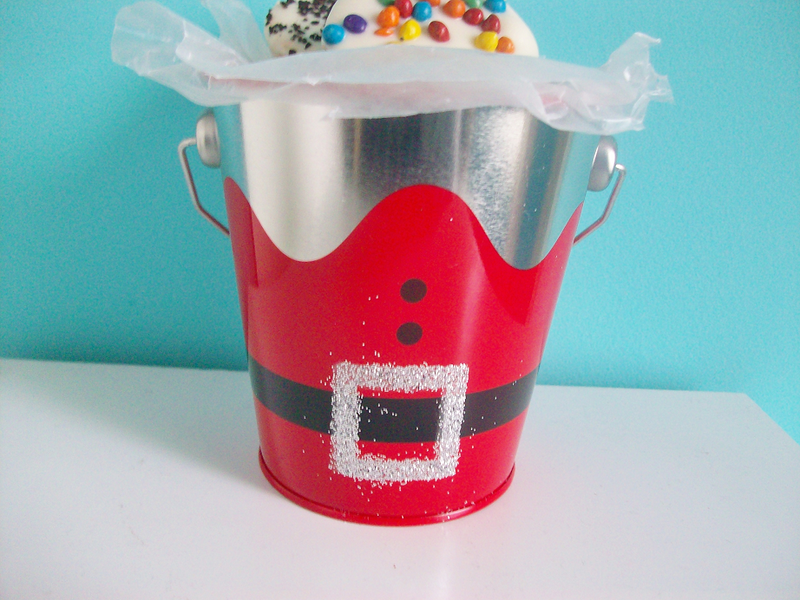 This is a quick and very fun DIY that you can make for your friends and family or even for a Christmas party! Enjoy! 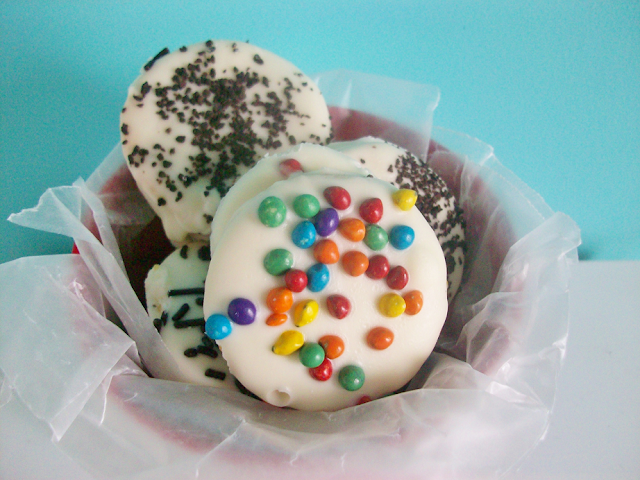 Melt your chocolate by following the instructions on the packaging of your chocolate chips. Grab two Ritz crackers and with the backs facing each other dip them into chocolate make sure to coat both sides with chocolate and then place on wax paper. 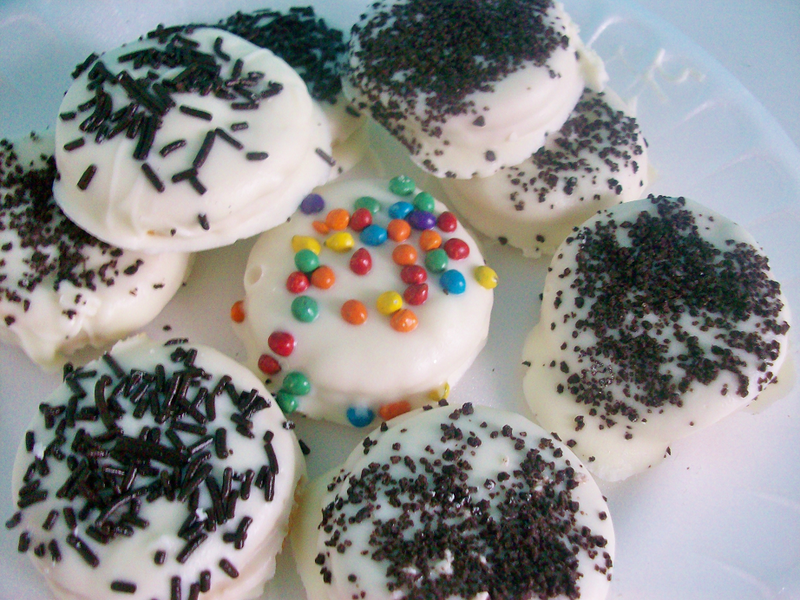 Decorate the cookies with sprinkles or anything else you would like. 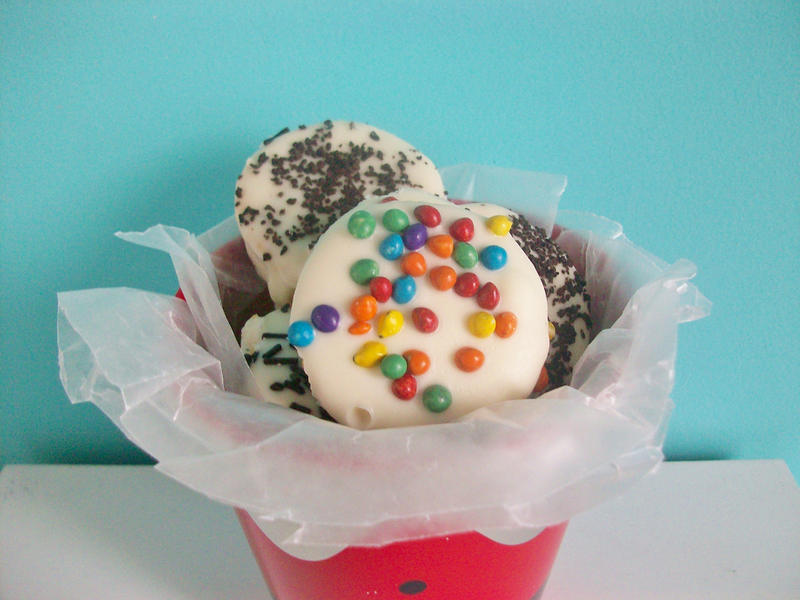 Let the cookies air dry for about 30 minutes and then enjoy! These are so fun and easy to make! You can make a ton of these too and you can even add something inside the cookies like peanut butter or Nutella if your would like. 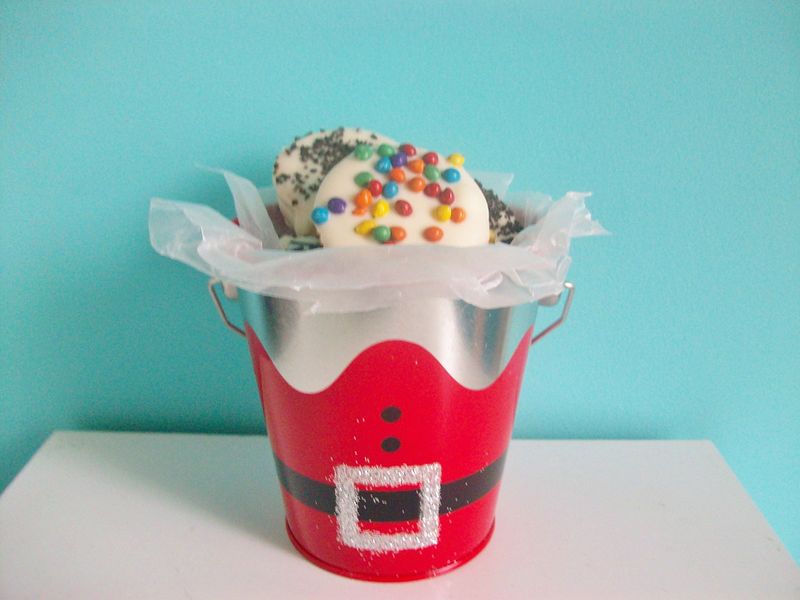 A cute gift idea would be to make some of these cookies and place then in a cute Christmas tin, like this one I got at Target for a $1. Make sure to place some tissue or wax paper inside the tin so it doesn't get sticky with chocolate. If you try this or any other of my DIY's please tag me on Instagram @mooeyandfriends so I can see your creations!